Pulpit swaps, shared retreats, joint action on social issues and regular meetings between clergy are just some of the ideas for local expressions of unity between Anglicans and Roman Catholics taking shape during an ecumenical summit in Canterbury and Rome. This afternoon, during a service in the monastery church of San Gregorio al Cielo, Pope Francis and the Archbishop of Canterbury Justin Welby will commission 19 pairs of Anglican and Roman Catholic bishops to implement local expressions of unity in their dioceses around the world. 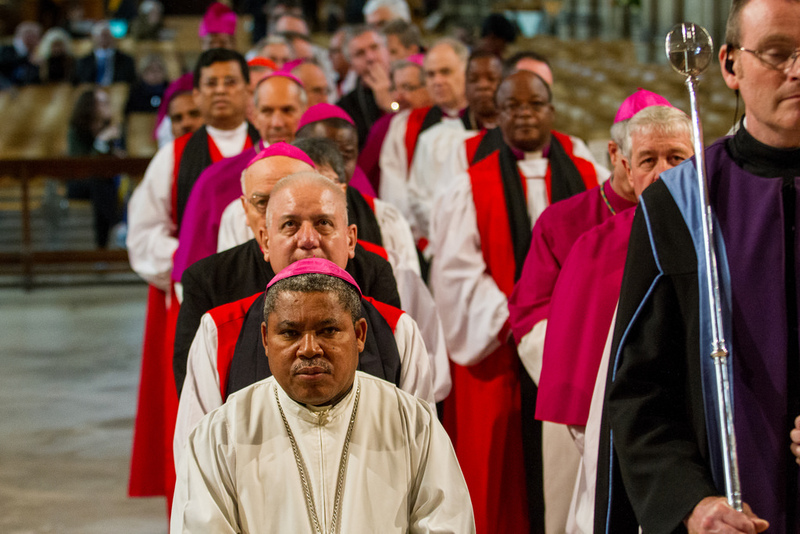 The commissioning of the 19-pairs of bishops has been organised by the International Anglican-Roman Catholic Commission for Unity and Mission (IARCCUM) as part of a week-long ecumenical summit marking the 50th anniversary of the first public meeting between a Pope and an Archbishop of Canterbury since the Reformation. The summit, which began at the weekend in Canterbury Cathedral and is continuing now in the Vatican, will also mark the 50th anniversary of the Anglican Centre in Rome. “I have been deeply moved by what has been happening,” the Anglican Bishop of Sialkot in Pakistan, the Rt Revd Alwin Samuel, said. “To see Roman Catholics celebrating the Eucharist in Canterbury Cathedral was a miracle. Bishop Samuel added: “Bishop Sebastian and I have been thinking about the concrete steps we can take towards greater unity because we are on one mission. He said: “Its greatest success is breaking down the walls of separation. We are becoming ‘buddies’ – partnerships grow when we hear about each other’s situations. He said: “This is a step forward. The links we already have are at local level. The challenge for us is building a platform at national level to give us a stronger voice.